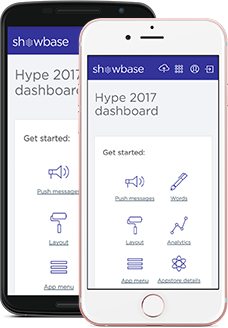 Showbase has offered a cloud multi-platform solution for multiple music festivals. Our product allows small, local festivals to build their own app limiting the costs. As well as offering elaborate integrated solutions for large international festivals with more complex requirements. We believe a cloud mobile solution is the future to let organizers interact with their festival audiences. 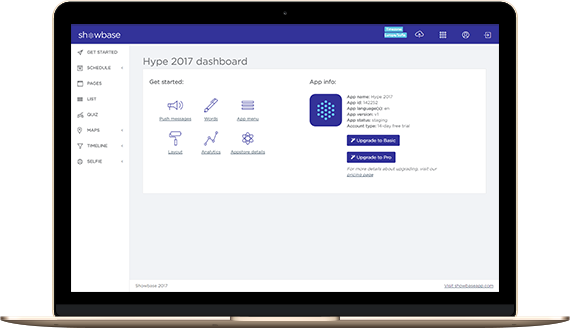 Our platform contains advanced features such as in-depth analytics, push messaging, a great content management system and modules especially built for festivals. What do you wish more? CMS Data Analytics: get insights into the usage of your audience.